It’s early on a March morning in southern Indiana and Andy Lowry is up before the sun with the same goal as many Midwest farmers – taking back time. When I catch him on the phone, he is in his tractor cab, busy spreading potash and manure across some of the dryer fields of his corn, soybean and livestock farm near Owensville. 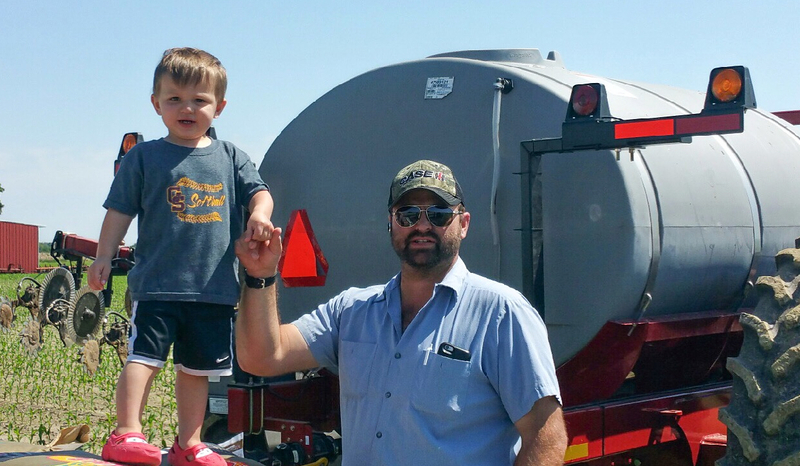 Andy Lowry (here with his son) has a corn, soybean and livestock farm in southern Indiana. Lowry says his curious nature has helped him to find innovative solutions in agriculture. After growing up on the family farm, he attended Purdue University, then worked in bovine genetics and cattle nutrition (he is still an independent representative) before returning home, buying some of his own ground and also working with his dad. Digital farming has played a key role in his success, beginning at planting time. At Climate, we’re always ready to help farmers like Andy – and you – with guidance and resources to help you hit the ground running for planting season and collect data you will use throughout the year to make key decisions. Here’s a checklist of resources to make sure you’re ready. Ensure your equipment is compatible with the FieldView™ Drive with this compatibility guide. Make sure your FieldView Drive is installed and set up properly. Export your seed prescriptions from Climate.com with these easy-to-follow steps. Make sure FieldView™ Cab app is installed; if you already had it installed, ensure you have updated it to the latest version. Working with a 20/20 SeedSense® monitor? Find the most recent software here. A new FieldView seed bag tag scanning feature makes it fast and easy to scan the name of a hybrid or variety with an iPad® or iPhone® device. This data will be uploaded directly into the FieldView Cab app hybrid/variety list that is available for quick selection during planting. Helpful online webinars are just a click away - click here for more details. Need more assistance? Check out the complete Pre-Planting Checklist for FieldView. Finally, if you’d like a bit more hands-on help, we’re happy to send a Climate Activation Specialist to walk you through checking equipment compatibility, setting up your equipment, installing your FieldView Drive and setting up your hybrid or variety list. If you need assistance or have any questions, contact your FieldView dealer, or the Climate Support Team at (888) 924-7475 or support@climate.com. 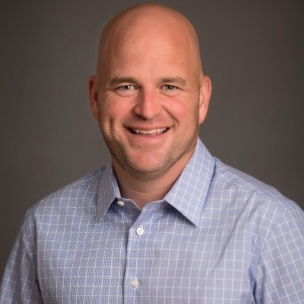 As a product marketing director at Climate, Bret helps to advance the development and awareness of digital agriculture tools that help farmers and dealers achieve higher levels of productivity. He is a Certified Crop Advisor and holds a Bachelor of Science in Agronomy from Iowa State University.